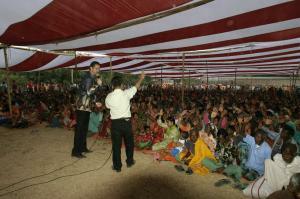 In the end of February Pioneer Mission hosted a Jesus festival in South-East Asia. Mikael Boman went with David Oliw and Roger Engstrom from Vetlanda Sweden. - At the beginning of the festival, it was very tough, Michael says. But every day we experienced how the gospel took place in people's hearts. - During the last three days we witnessed a clear breakthrough. One reason was that during the third night a Muslim paralyzed boy was completely healed. His grandfather had taken him to the meeting. He got the news that that people had been healed in the festival. This miracle was so clear and his grandfather was so happy, so the next night the audience was tripled. The last night the team challenged the people to throw away their amulettes which they are using to enter into a pact with evil spirits. 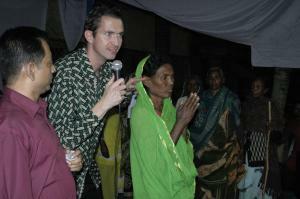 - We asked the people to turn away from their dead works and begin to follow Jesus, Mikael says. Several hundred people took off their amulettes.. 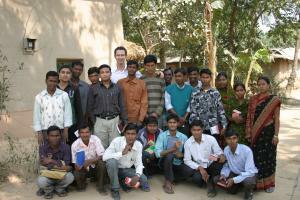 The team also held seminars for church planters. Seminars for the church planters.